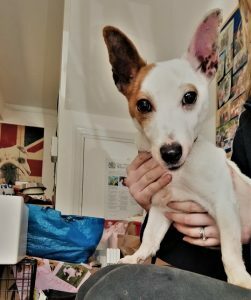 3/11/18 – Bernie has found a home! 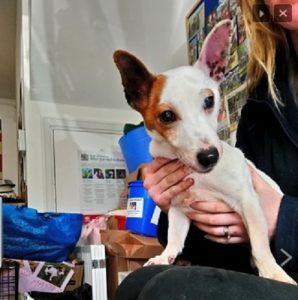 Chipper little Bernie, a 9 year old Jack Russell Terrier, came to All Dogs Matter in North London after he was found abandoned in a park. He’s now in a foster home, where he is doing really well. He could live with dog savvy children from age 10. Bernie is fine with dogs when out and about but would prefer to be the only dog in his new home, for unrivalled access to laps! Bernie still has plenty of energy to go on walks. Afterwards, he’s happy to snuggle in his bed for the rest of the day. He is house trained and knows some basic commands. JRTs being super intelligent people, of course, he’ll easily pick up new tricks. Bernie is neutered and microchipped. He is partially deaf and has cataracts but this doesn’t impact on his lifestyle at all. Life is such fun! Please say you saw Bernie on the Oldies Club website.